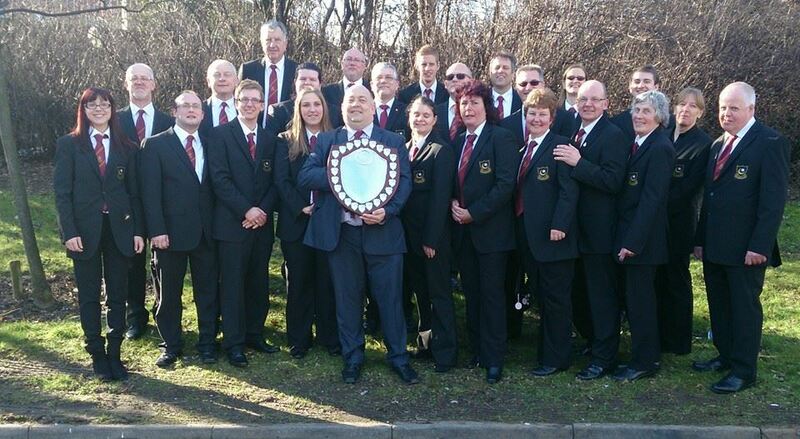 March is always an exciting time in the brass banding calendar as the regional contests get underway to determine who will be making the journey to the National Finals in September and who will move up and down the grading tables. The North-West regional having taken place the previous week, on Saturday 8th March it was Yorkshire’s turn to see who would be joining Boarshurst Silver, Old Hall Brass and Blackpool Brass in Cheltenham. This year’s 3rd section test piece was ‘Evolution, 5 States of Change’ by Philip Sparke. Upon initial play-through it quickly became apparent that there were none of the usual solo lines that you would expect to rear their heads at this time of year. Hurray! thought all the top chairs. That was until some more plays through when the nature of the task ahead became clear. This year was all about the ensemble. No-one could hide in this piece. Every player from top to bottom, brass and percussion alike, had to contribute equally and work together as a whole to make the piece a success. Everyone knows that the acoustic of St George’s Hall can make it tricky to hear what the rest of the band is doing, so getting everyone comfortable with their parts and working confidently together in the bandroom was going to be an important part of making it all work on stage. Thankfully we had our MD Rob Westacott on hand to shape and guide us over the preceding months. With his unique interpretation of the score and an enthusiasm and determination that is hard to knock, this rubbed off on the band as we enjoyed working on the piece right up until the contest. Drawn number 4 of 11, it was a long morning of practice, the main event and then some free time to see some of the other bands on stage. Results are always a nervous time. Sometimes more-so than the performance itself. As the results count down from 6 to 3 and you haven’t heard your band called, your immediate thoughts are ‘we’ve either done really well, or not well at all’. Which will it be? No matter how well you think you’ve played, when it gets down to that last spot you never quite believe it will be your band that is called. Rob has worked hard with the band since he took over the baton in late 2013. It takes a split second to sink in, but when the first place result is called, it shows that this weekend, that hard work has paid off. As the next morning dawns, many are bleary-eyed from the celebrations and thinking it’s all over for another year. Then you remember that it’s only a matter of time before the piece for the Nationals is announced and it all starts again.